I know that none of you have littered but have you ever seen someone litter? How did you feel? Pollution is one of the worst threats to the environment. If we don't stop polluting, our world is going to turn on us! We need to put a stop to this madness! The Natural Resources Defense Council (nrdc.org) scientists say "The climate change in the last couple of years is a sign of global warming." So come, lets find out why these harsh, dangerous, and catastrophic effects are happening. One component of pollution is trash and debris. Think about a trash vortex in the Pacific Ocean, it is the size of Texas. 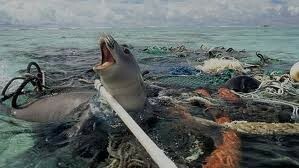 greenpeace.org says that "Fish, marine life, and birds get choked by swirling decomposing garbage." Now think about all the pollution there. About 10% percent of plastic ends up in the ocean. That is not fair to the animals who are trying to live normally. It is like taking the roof off your house. 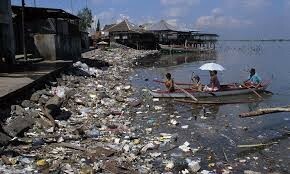 The marine life dies because of the waste invading their habitat. Another component of pollution is animal waste. Do you or your friend have a pet? 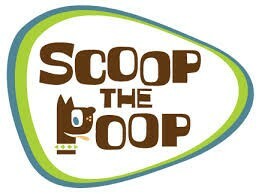 When you take your pet outside does he or she poop? If so, you should pick it up with a bag. If you don’t you will cause problems to you and other people. epa.gov says "Animal waste can pollute our drinking water, rivers, streams, and air." I will explain why. The remains could flow into a lakes and rivers and pollute the water that people drink or swim in. I don’t think anybody would like to drink dirty water. It also can hurt aquatic animals too because they take it in as well. ucsusa.org states that "Today's on-road vehicles produce over a third of the carbon monoxide and nitrogen oxides in our atmosphere and over twenty percent of global warming pollution." Think about all of those cars burning off oil. Now,that oil is toxic and is being released all the time. The animals who inhale these toxins could get sick or die because they are not used to it. I know you're probably saying, I'm only one out of millions so it doesn't really matter that I'm driving too much. But you are wrong! If you have a part in this you are still killing plants and animals. All I am asking you to do is walk more and drive less. I have just explained to you these 3 causes of pollution trash/debris, animal waste, and oil. If everybody pollutes our world, we are going to cause an apocalypse. 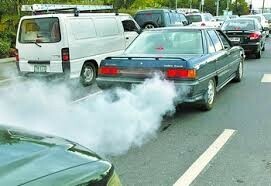 So What are you going to do to spread the word and lower the amount of pollution.